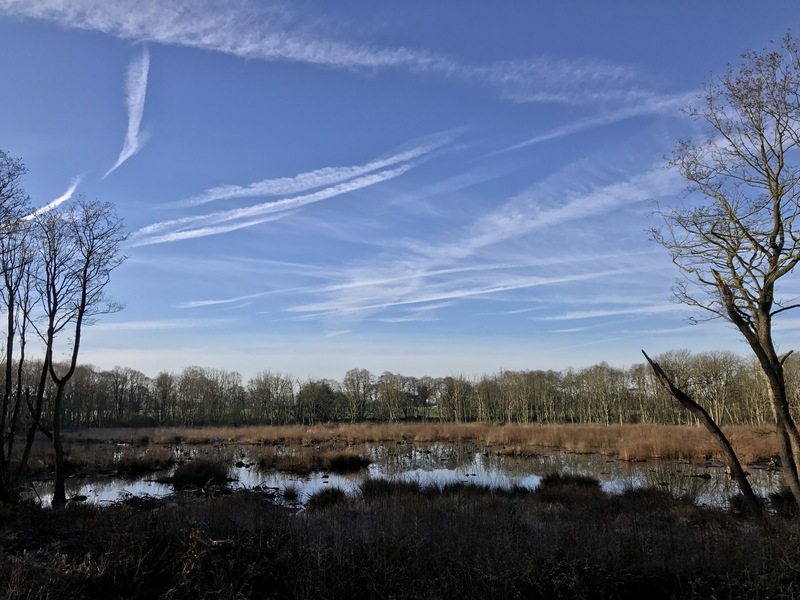 For a Sunday, I woke unusually early this morning, so I took advantage of the opportunity and went out to do the first Breeding Bird Survey of the year at Cheshire Wildlife Trust’s Blakenhall Moss reserve. 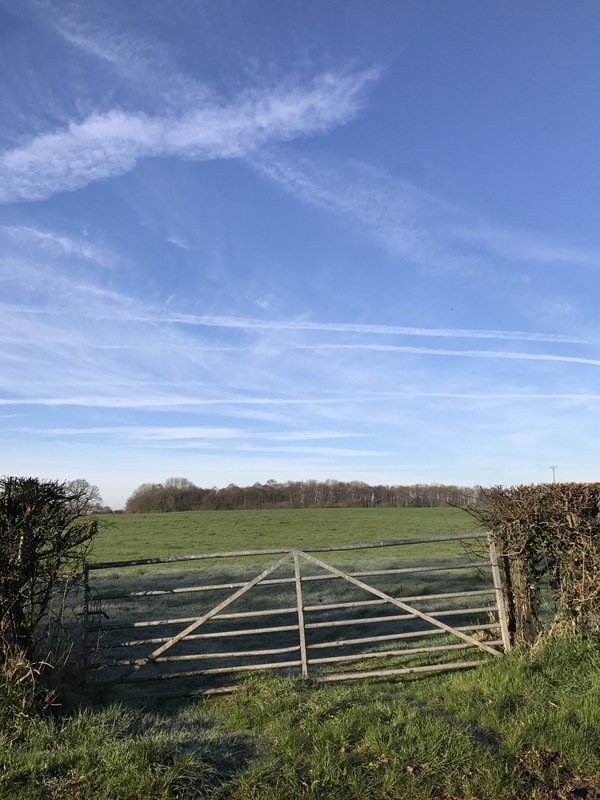 Unlike other Wildlife Trust reserves, including the Bagmere site I also survey, the methodology hasn’t changed for Blakenhall this year, so it was out to do a familiar route, recording the bird species seen and the most ‘breeding-like’ behaviour observed. The morning was bright and almost cloudless, with a strong sun but not quite as warm as it looked. However, I soon warmed up as the route is a bit of a struggle in places, either wading through water or pushing through undergrowth. 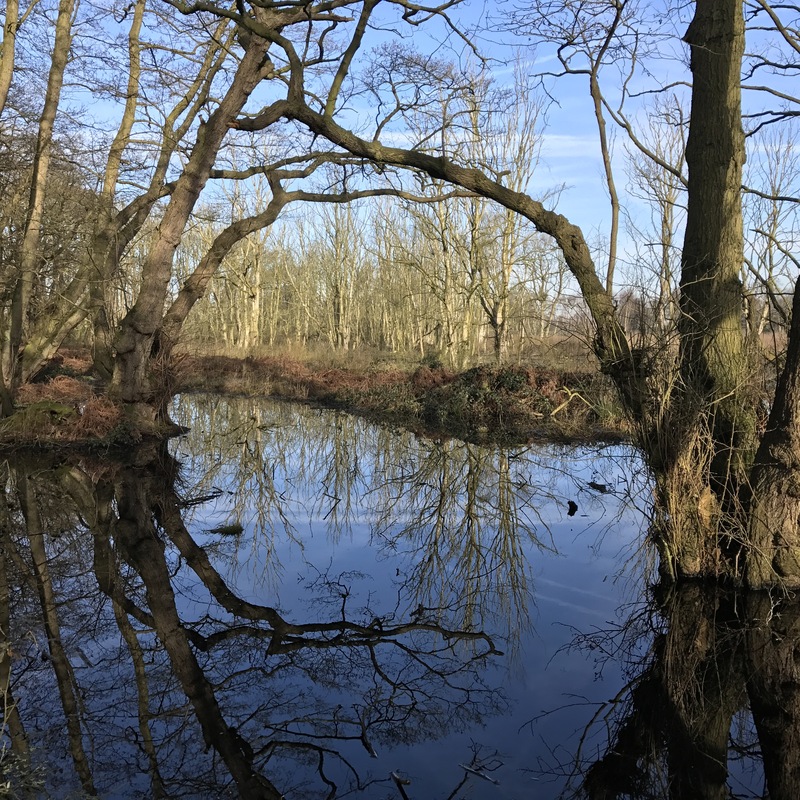 The work by Cheshire Wildlife Trust to return the Moss to a raised lowland bog has left the site much wetter (intentionally) and where water isn’t lying, the woodland understory it much thicker than it was. 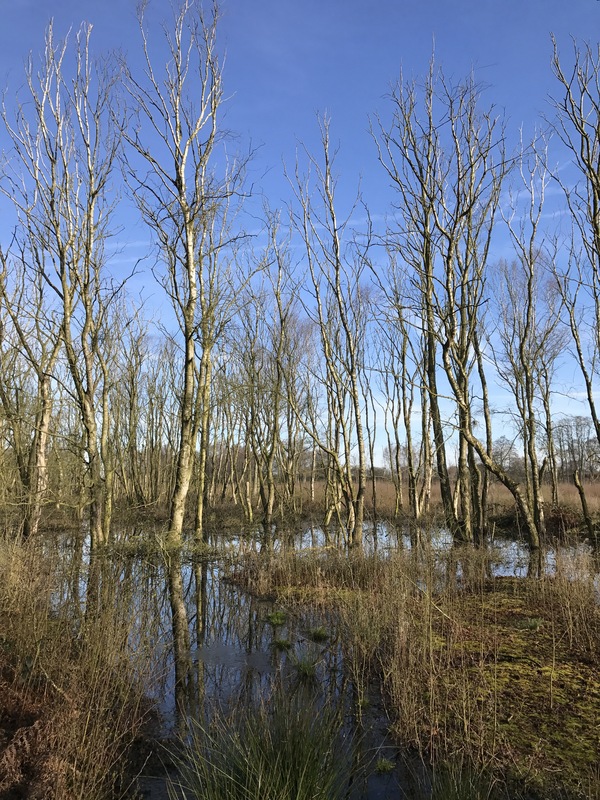 However, it was less tough than I thought it was going to be and after an hour or so I completed the survey and sat for a while on an old tree trunk, taking in the sun and watching the wildlife. The birdlife was much as I expected, 29 species recorded in all, but there were a couple of new ones for the site, reed bunting and oystercatcher. Overall, that’s 62 species recorded at the reserve since I did the first reserve survey in early 2014. I also saw my first spotted flycatchers of the year, three in all; these are one of my favourite of our summer visitors. Walking around the Moss, there were signs that spring is moving on; the blue bells have nearly finished and the hawthorn is out in blossom, showing that summer can’t be far away.